Cervecera Artesana are located in Nalda next to our Rioja producers Bodegas Nivarius. 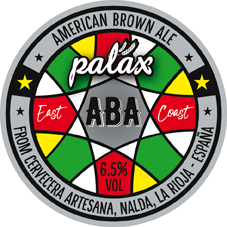 Their Palax and Ceriux range of craft beers take full advantage of the pure local water from a spring in the upper Iregua river basin in a natural, environmentally-rich area surrounded by beech and oak trees. Quality raw ingredients as well cutting edge technology to satisfy even the most discerning beer connoisseurs. The resulting craft beers are rich in nuances and personality. 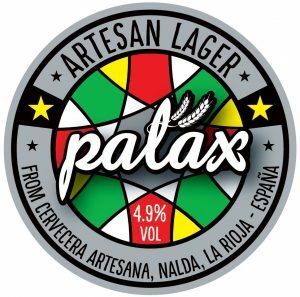 Palax is a lager available on draught or as bottle conditioned. It is brewed over 7 days and then left to condition for a further 25. It is either kegged with minimal filtration and no pasturisation or primed to give a secondary fermentation in the bottle for another 3 weeks. Ceriux is a highly-expressive, double fermented craft ale; made using an ingredient that sets it apart from other beers – grape must. After the initial brewing process it is left to age for over a month and then a secondary fermentation takes place triggered by the addition of concentrated must, provided by the next door winery. The Viura and Tempranillo grape musts add subtle aromas and flavours that make Ceriux delicious and very different. Sign up and receive infrequent emails about Morgenrot and our products. We won’t spam you, we promise. ARE YOU THE LEGAL DRINKING AGE IN YOUR COUNTRY OR RESIDENCE?